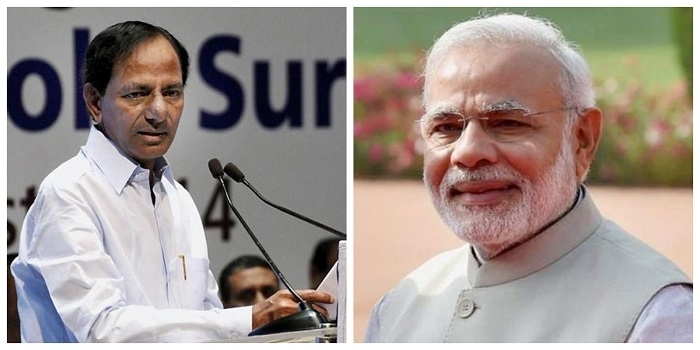 New Delhi, June 14: Telangana Chief Minister K. Chandrasekhar Rao is all set to meet Prime Minister Narendra Modi over the long pending issue of the Presidential Order for the new zonal system. The much-anticipated meeting is scheduled for Friday. According to media reports, the Telangana Chief Minister will urge center to take a final call on Presidential Order in order to implement the proposed zonal system to ensure 95 percent reservations for locals in jobs and education. Considered to be a pet project of TRS government, KCR is pitching hard to get the nod of the center for amending Presidential Order. On May 27, KCR cabinet had cleared the new zonal system categorizing 31 districts into seven zones and two multi-zones.